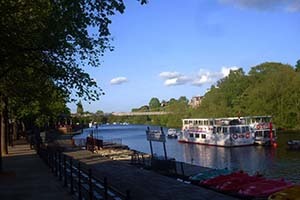 The following images will give you a flavour for some of the views to be seen on Roger's Guided Walking Tours of Chester. 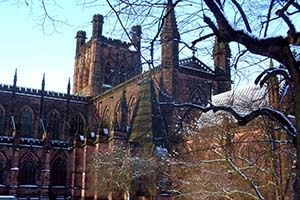 Chester's ancient cathedral is one of the most frequently visited in the country. 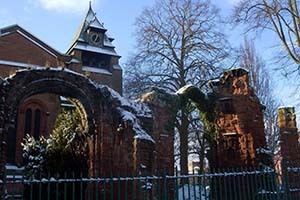 The church of St John was founded in Saxon times and enjoyed a brief spell as the city's cathedral. Inside, one is, in the words of Sir Nikolaus Pevsner, transported to the early twelfth century. The Old Dee Bridge has been carrying traffic in and out of the city since the year it was built: 1387. 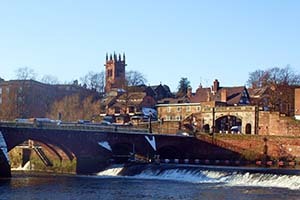 The peaceful banks of the river Dee. 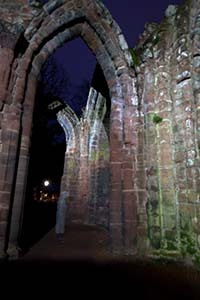 This tower stands on Chester's Roman wall. 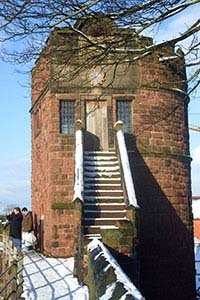 King Charles is believed to have stood on top of it in 1645, watching the defeat of his forces in the battle of Rowton Moor. 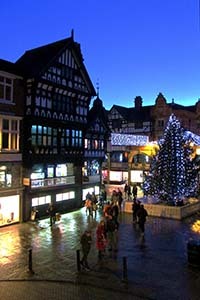 There is no better place to be at Christmas! 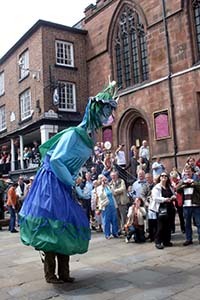 Chester's Midsummer Watch Parade has its roots in the Middle Ages. Among its cast of traditional characters are the famous Giants. Dare you come on a ghost tour?